Hello everybody!! I hope your week was good. Mine was super busy because of work, long hours, long days, I’ve been working for 9 days straight. But at least I’ve got the weekend off and it was actually what I needed: friends, fun, new/old things. If you think that you already read these words, it means that you read “I AM THAT GIRL” by Alexis Jones. I’ve started to read “I AM THAT GIRL” in March and I’ve finished it in May\June. I am not a slow reader, sometimes it takes me one day to finish a book but I wanted to follow every step of this book. And it’s really just like a talk with your best friend, but it’s even better because it seems that knows you better than you know yourself. Alexis Jones is a big inspiration. She doesn’t let anything to stop her to achieve her dreams. She actually learn from every bad moments and with this book she makes you understand that life is rough but nothing can stop you, just the biggest obstacle is YOU. While I was reading the book, I wanted to know more about the amazing organisation that it’s behind it. Alexis just created this organisation from nothing, she wanted to change the world, makes something good for all the person out there that don’t believe in themselves. I have a few quotes from the book that I’d like to share with you to make you understand how amazing is it. This is definitely my favourite quote. Because it’s so me. I am like this, I don’t show to people what I feel, I don’t cry in front of people. And if I do, I hate myself because it happened. This is so true!!! Another thing about the book is how makes you think who is really your friend? Who is the one that believes in you and whatsoever dream you have? I’ve learned that you have to understand who believes in you and keep it close and just leave the others behind it. 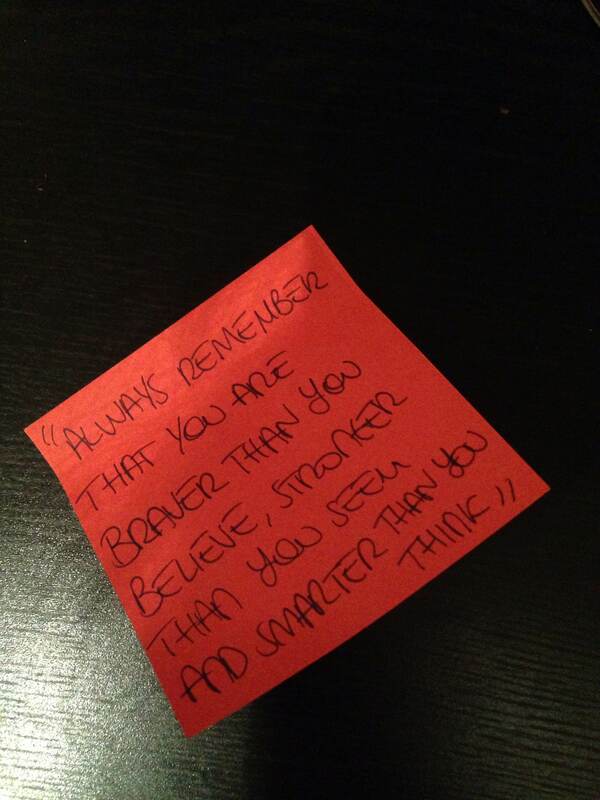 This is another amazing quote that I had to write on a post it and put it in my agenda so I could always look at it. The great thing about this book is that it happened in a moment when I was feeling really bad about myself, just because I was unhappy at work, I was heartbroken because my boyfriend broke up with me and I didn’t know what was my aim to be here in London. And the things that I couldn’t say to anybody I found it in there. In those pages. I have to admit that I’ve bought the book just because Sophia Bush wrote the foreword but I couldn’t be more proud of one of my favourite actress and human being to make me knew something so amazing. There are so many stories that you have to read. You can buy the book on Amazon if you want. I think you should.